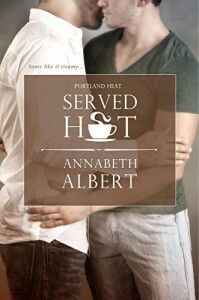 Served Hot is the first book in Annabeth Albert’s new Portland Heat series. This is a sweet and steamy romance about two guys, both having been marked by past relationships, who can’t help but take another chance on love. With vanilla lattes, tender moments and smoking hot chemistry can both men take their relationship to the next level? Robert Edwards Junior (a.k.a. Robby) is a self-employed barista who owns a thriving coffee cart business in Portland. The best part of Robby’s day is at 11:50 am. This is when David Gregory, a finance director for the Library Trust, makes his usual appearance and orders his usual vanilla latte and proceeds to eat lunch by himself nearby. Robby can’t help but crush hard on the appealing and shy man whose soulful brown eyes and preppy attire seem to leave him feeling all squishy inside and overly heated. The problem is that Robby has no idea whether David is even gay. But, when Robby sees David at the Portland Pride Festival all bets are off and Robby decides to make his move. David recently lost his long-time lover. Despite the fact that no one knew about the relationship, David was deeply committed to the man who had been in his life for many years. He is unsure as to whether he is ready to date once again and put himself out there. Further, the only sort of relationship David is familiar with is a closeted one. What would it be like to be with someone completely out in the open for all to see? David needs a nudge to move forward but is awkward and timid Robby the man to push him in the right direction, mainly right into his open arms? I really enjoyed this sugary tale of love with little angst and moderate steam levels. Both characters were endearing and I could not help but root for their relationship. This story is told solely from Robby’s POV, although I do wish it was told in dual POVs as it would have been nice to get in David’s head as well. David is still a little grief-stricken over the loss of his lover. Not to mention he has no idea how to handle himself in a relatively “normal” relationship as he has no previous experience with things such as going out on dates, holding hands in public and other significant normalcies that come with being in a stable and emotionally fulfilling relationship. Robby has already experienced being in a relationship with a closeted gay man and he is unwilling to go through the same turmoil ever again. It was a fine balancing act between both males as they attempted to navigate the bumpy road to a happy forever. David and Robby both had a lot to learn but the more entwined they became with one another, the more the risk of falling in love seemed worth it. All in all, this light-hearted romance was a lot of fun to read and I am definitely looking forward to more books in this series. Served Hot is an engaging and well-written story. I did find that it ended a little abruptly. I would have liked to see more of an ending to really cement David and Robby in my mind. 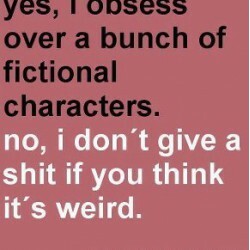 Definitely worth the read for lovers of M/M romance. ****An advance reading copy of Served Hot by Annabeth Albert was generously provided to me via NetGalley in exchange for an honest review.